The Spectre vulnerability has dominated cybersecurity headlines since Google announced it earlier this year, and we first reported back in January how to patch Windows and Linux systems. Most stories are about its nature and potential prevalence, rather than solving the fundamental problem. But now, we have a solution. 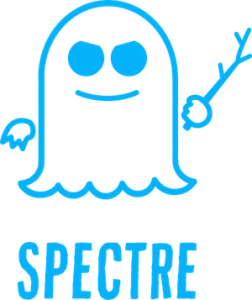 We’re happy to announce the release of a new Klocwork checker, SPECTRE.VARIANT1, that detects potential occurrences of Spectre variant 1 (CVE-2017-5753) in your code. 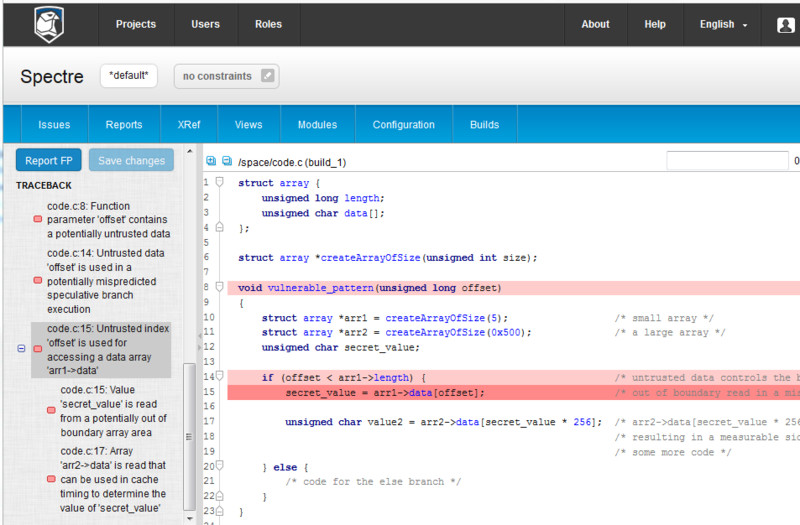 In this post, we’ll review what the Spectre variant 1 vulnerability is, describe why we focused on this variant, explain how the new checker works, and provide options for mitigation. There are many articles describing Spectre in detail but, for a quick understanding, here’s an explanation. Quick summary: The Spectre vulnerability involves a malicious program gaining access to data that it shouldn’t have the right to see. It does so by exploiting two important techniques used to speed up computer chips, called speculative execution and caching. To exploit Spectre, an attacker relies on two things occurring on the target system: The hardware must make use of speculative execution; and certain patterns must be present in the code. Speculative execution: For performance purposes, a processor may execute instructions past a branch (such as an if statement) before knowing whether those instructions should be executed. If the speculation proves to be correct, valuable CPU time is saved. If the speculation is incorrect, the CPU can discard the results and continue execution along the correct path. Spectre relies on the fact that this speculation can result in modifications to cache memory that may include “incorrect” data, or data that wouldn’t normally result if instructions had executed along the correct path. Attackers may be able to extract this data using a timing, or side-channel, attack whereby memory access latency is measured to determine the cache location of sensitive information, which can then be retrieved. We’ll provide an example of this later. Based on researching the vulnerability and strong customer feedback, the Klocwork development team focused on Spectre variant 1 for two reasons. First, Intel and other organizations have already released mitigation strategies for the other variants. Second, unlike these other strategies, there’s no “one-shot” mitigation for variant 1 in the field. In other words, variant 1 can’t currently be solved by a single patch or technique – it requires the detection and resolution of multiple, specific code patterns in source code. That’s where static code analysis comes in. Of course, you could take the brute-force approach and turn off speculative execution entirely, but this would lead to significant performance degradations in your application. There are several other patterns that Klocwork detects and it’s important to note that Spectre vulnerabilities can be reported even in code with no buffer overflows (found with Klocwork ABV. * checkers), a very similar type of attack, as it’s the presence of speculative execution that triggers the issue. Follow Intel’s recommendation to insert a barrier to stop speculative execution locally using the LFENCE instruction (_mm_lfence()). More details about this mitigation are available in Intel’s white paper. If you have your own mitigation function, you can include a custom KB in the Klocwork analysis, identifying to the checker areas of code that you know aren’t vulnerable to the exploit. The SPECTRE.VARIANT1 checker is available now for Klocwork 2018 and Klocwork 2017.3. For more information on Klocwork static analysis tools and how it can help in the mitigation of the Spectre variant1 vulnerability, please complete the form below.